And of course, if you can attend, make sure to come back and tell us all about it! So, it’s Monday, after a holiday weekend. I know many people made their weekend a long one, and could possibly be dragging their feet today. Well, the good news is we have an amazing opportunity to share with you, a bit of a Monday pick-me-up if you will. A little while back, Megs and Vlad had the chance to interview Kooba’s Creative Director, Abbe Held. They had a great time meeting and getting to know Abbe a bit better. 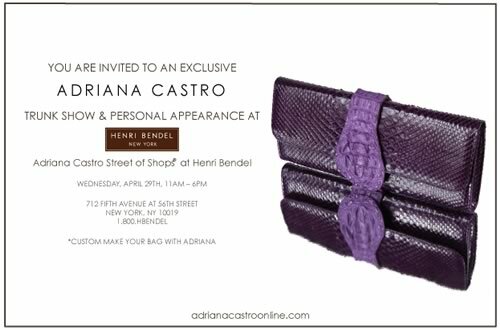 Well, today, if you happen to be in the NYC area, you too can meet Abbe! And for those of you who get a chance to go to this event, please come back and tell all of us about it. Since I can’t make it, I’ll have to be ok with living vicariously. 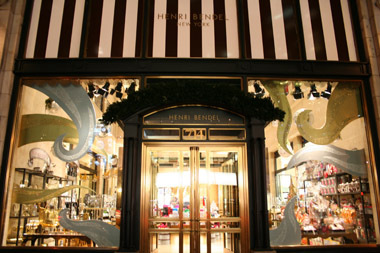 Why: Come to Henri Bendel’s to see the Spring 2009 line and meet Abbe Held, co-founder and creative director of Kooba! Free Kooba make up pouch with purchase.